It comes as no surprise that golf is following the pattern of other sports where short forms of the game have emerged because participants do not have the time for the traditional long form. The 18-hole format will not disappear but clubs must cater for flexible short form versions of golf as part of their product offer or risk long term survival. Research predicts emerging variations of the short form game will increasingly become the norm. 9-hole rounds have grown steadily in Australia over the past 4 years with competition rounds increasing by nearly 15% in the first six months of 2018. Recognising the need to formally provide for the short form game, the Golf Australia handicap system now caters for 9-Hole handicaps. Change is not always easy; the only thing worse than change is irrelevance. The tourism dimension – we are ideally located in one of Australia’s premier tourist destinations, the Noosa Hinterland. Many visitors to the Sunshine Coast are not regular golfers but enjoy a game while on holidays. The ability to offer flexible, affordable playing options is critical to attracting more players to Cooroy for both social and competition games. The heat during our holiday season can be quite a challenge so spending less time on the course has some attraction. 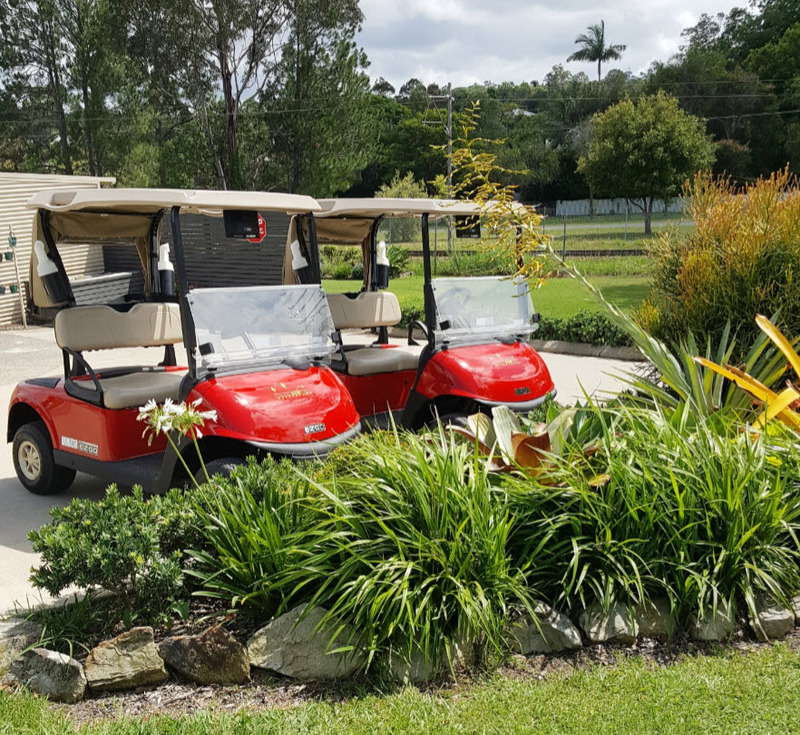 9-Hole social rounds are available every day at Cooroy. Golf clubs are available for hire if needed. Cooroy Golf Club is offering an upgraded 9-Hole Membership option to cater for the introduction of 9-Hole handicaps. This new membership option will be available from 1st January 2019 and replaces the existing 9-Hole membership. The annual cost of $500 (or $42 monthly) reflects the requirement that we must pay affiliation fees with the introduction of 9-Hole handicaps. 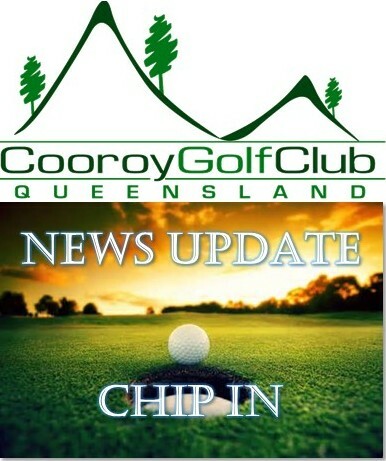 If you are looking to enjoy affordable, friendly but competitive short form golf, come and play at Cooroy. Women’s Tuesday Club 9-Hole competition. We have golfers of all levels playing together. We kick off a new weekly Friday and Sunday 9-Hole format competition for men and women on 4th January 2019. Tee times: All day. No booking necessary. Entry Fee of $6.00 (includes prizes). NOTE: The Friday competition will replace the ‘Friday Chook Run/Coopers Challenge’. Holiday Season 9-Hole Series Event: We plan to run a 9-Hole competition series over the Xmas holiday period. The series will be open to members and visitors with a handicap. Stay tuned for more detail. Visitors with a GA handicap are welcome to play in our short form competitions. Effective from 1st November 2018, the price of bottles and cans will increase by $0.10 following the introduction of a Waste Levy by the Queensland Government as part of a waste reduction and recycling strategy. 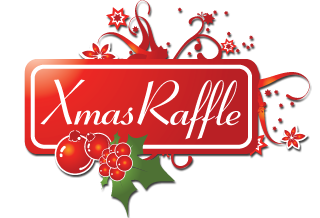 Tickets in our Xmas raffle are now available at the bar. $5.00 each or 5 for $20.00. The raffle will be drawn on Saturday, 22nd December 2018. It is now around 12 months since the decision to move from print to an online version of our program of events and competitions avoiding ~$1,500 in printing cost. With over 10,000 'views' annually, the Event Calendar ranks second only to the home page in terms of activity on our website. As a result of feedback we have undertaken some fine tuning. When you visit the Event Calendar page it now defaults to the AGENDA view which allows scrolling through entries. You then click on an entry for more detail. The event title indicates if the event is AWAY from Cooroy so availability of the course on that day is immediately apparent. Thanks to Wendy Morse and Andy Campion for their efforts in maintaining the Event Calendar. If you have any suggestions please pass them to Wendy or Andy. And now for something completely different. It’s time to meet the bar staff; those always smiling, tolerant people who lend a sympathetic ear after a poor round or a nod and wink to exaggerated prowess at a good one. Being multi-skilled they also serve hot and cold beverages, fresh food, run the pro-shop, organise hire carts, collect visitor fees, debate the worlds most vexing issues, wind up Wayne and that’s before 10:00 am. In this issue we introduce Andy Campion. Andy came to Australia in 1993 for a one month holiday but this transformed into 25 years. Andy joined the club in 2009 and within 2 years had his first ever handicap. In an earlier life Andy worked in the silicon chip manufacturing industry in the UK before coming to Australia where he managed to land a job as the manufacturing manager for Cochlear in Sydney...... the firm that makes the bionic ear hearing implant. 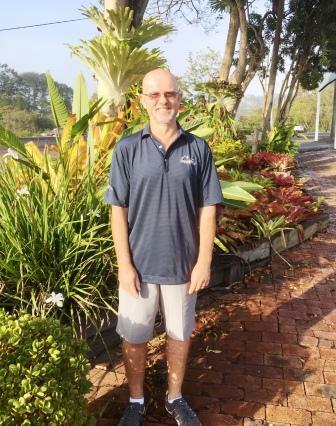 After about 12 years, Andy had a mid-life crisis, resigned, moved to Queensland and got married. He still thinks this was a better option than trying to grow a pony tail and buying a Harley. Just over 3 years ago, Wayne asked Andy if he was interested in working 4 hours on a Sunday afternoon behind the bar. This has now grown into nearly 20 hours a week over a variety of days the pick of which is, of course, 'Hot Thursdays' with the girls. Andy says never having had a job serving the general public it has been an education working behind a bar. He gets much entertainment from some people’s expectation that he is supposed to remember what each of the 400 members drink and how many sugars they have in their coffee. Not an unreasonable expectation! The best bit of the job is the banter that goes on behind the bar, particularly with Wayne. Andy's sole life focus, dream and raison d’être is to one day return to the clubhouse on a Saturday having played a round of golf that does not illicit frivolity and mirth from his co workers. Of course, thinking up ways to wind up Wayne and keep him on his toes does take up a considerable amount of personal time....... but worth every second! Andy is a much valued member of our staff. He is meticulous in his work ethic and everything that he does with a fetish for labeling everything in sight! He loves his Saturday golf, even though his frustration levels are sometimes evident; new clubs Andy? As Cyril has just returned from his 'Grand Tour' of Europe we thought we'd skip the Tips and instead tell you about the trip. From all accounts the 6 week trip surpassed all expectations and there were lots of memorable moments. Here is one in Cyril's own words. Et oui, j'ai joué au Golf National en dehors de Paris une semaine après la Ryder Cup. Une expérience que je n'oublierai jamais. Oops forgot I'm back in Australia...and yes I got to play Le Golf National outside Paris one week after the Ryder Cup. An experience I will never forget. A very tough course about 1.3 kilometres longer than Cooroy with narrow fairways, thick rough and long water carries. They let me play from the back markers as they did in the Cup. I also got a tour of the inner sanctum of the clubhouse where the team's hunkered down to formulate their strategies. The normal green fee at Le Golf is 200 Euro. It was still bedecked with all the bunting and colours of the Cup and the grandstands and corporate areas were still being disassembled. I shot about 8 over which I was thrilled with, hitting 15 and 18 in two shots and making my sole birdie at 15. Both are monsters with 2nd shot water carries. Two days later we did the Eurostar from Paris to London at 293 km/ph and arrived in two hours. Could that happen in Australia. I think not. Tick another one off the bucket list. Our Greens Staff have installed new inspection pits and made improvements to drainage around tees and greens. As a result we should see better drainage of the 10th and 11th greens, with the former being a concern earlier this year when there was a lot of rain. We would like to thank Bendigo Bank for sponsoring the acquisition of controlled (slow) release fertiliser which was applied to fairways earlier this month. Very timely. Due to wet conditions, the course was closed on Tuesday 16th. The following day several walkers played in the Vets competition, completing 18 holes, and reported the course was holding up well considering we got about 400mm of rain over the previous week. The old adage that any aeration is better than no aeration was obvious. There has been extensive use of the Groundhog aerator since we got it and this is resulting in more water moving down the soil profile. Hopefully grass roots will follow and this should result in better and more vigorous growth on fairways, whatever the grass. We want to increase the amount of more desirable grass on fairways. The area in front of the 4th tee has been roped off, rotary hoed at a cost of $200 using a local contractor in preparation for the planting of green couch stolons, which will be obtained from Noosa Golf Club soon. Soil preparation will also involve chemical improvement of soil physical properties through gypsum application. Expect to see other areas (bare patches) treated similarly, hopefully in time to take advantage of the generosity of Noosa Golf Club. 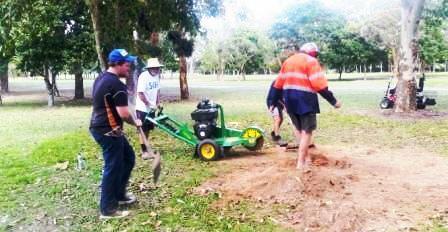 On October 7 and 8, a very successful stump grinding working bee was completed. The job coordinator was Graeme Caffyn who put in a fantastic effort in picking up and returning the Grinder from Kennards Hire, as well as being in attendance both days. Volunteers included Graeme and Rosemary Caffyn, Dale Scanlon, Doug Pearce, Joe Daniels, Gordon Green, Derek Wood, Dale Rickard and Dave Lyons. Approximately 140 tree stumps (potential trip hazards and eyesores) no longer exist. The photo below shows the Monday morning shift – left to right Dale Scanlon, Derek Wood using the grinder, Doug Pearce and Dale Rickard. Some very good and not so good News. Bad news first. We are seeing a lot of couch intrusion on our Tiffdwarf greens nursery and it may be we will have to spray the whole lot out and start again. This is very disappointing. For this to happen so quickly must be due to the quality of the stolons we sourced from another golf club. Stolons of couch from surrounds of greens appear to have been included in with stolons from their Tiffdwarf greens. Getting a good quality source of Tiffdwarf stolons could be challenging. Tiffgreen (328) which is the grass currently on our greens is still one of two good quality industry standards along with Tiffdwarf, and we may choose to collect stolons from our good greens on course for the Greens nursery. We recently met with two officers from the Department of Natural Resources to discuss our water licence and our desire to use more water on the course. DNR were very helpful. They advised that our current water licence needs to be changed to cover how we currently use water. They will take us through this as well as an increase in our potential water use. We can take steps to increase water storage now and with more membership and revenue down the track, there is potential to increase storage further e.g. a dam on 2nd/16th might be of interest. Another good outcome by calling in local authorities. It is very likely that we will be involved in a very significant project with Noosa Landcare (who receive Commonwealth funding for projects that benefit the community). After heavy rain we see a lot of turbidity in the creek from run-off and erosion of creek beds on course. The initial meeting with Landcare had them talking about the planting of a large number of native aquatic plants on our creek beds which will serve as filters to trap sediment and nutrients that may enter waterways, thus improving our environmental footprint. Plants would be supplied and planted by Landcare. We need to match that commitment with in-kind contribution from the Club (working bees) and the Community (sponsorship of rocks, soil, school projects being examples). Advertising on 22 motorised golf cart GPS screens. The ad displays between shots while the cart is on the course. Advertising spot on our web sponsor page. 4 complementary rounds of golf including 2 carts. Advertising position on our club's Facebook page. Total Package cost $1,000 (incl GST) per annum. If you know a business or organisation that might suit this sponsorship package speak to Club Manager, Wayne Patston, on 07 5447 6258 for more information. Around 25,000 rounds of golf played on the course each year. On average around 700 players on the golf course each week. Over 1,245,000 hits, ~70,000 page views and ~10,500 visitors to website annually. Community organisation with strong ties to the local business community. Located in a prime position in one of the premier tourist destinations in Australia and world. Over 85 years of history in Cooroy and Noosa hinterland. 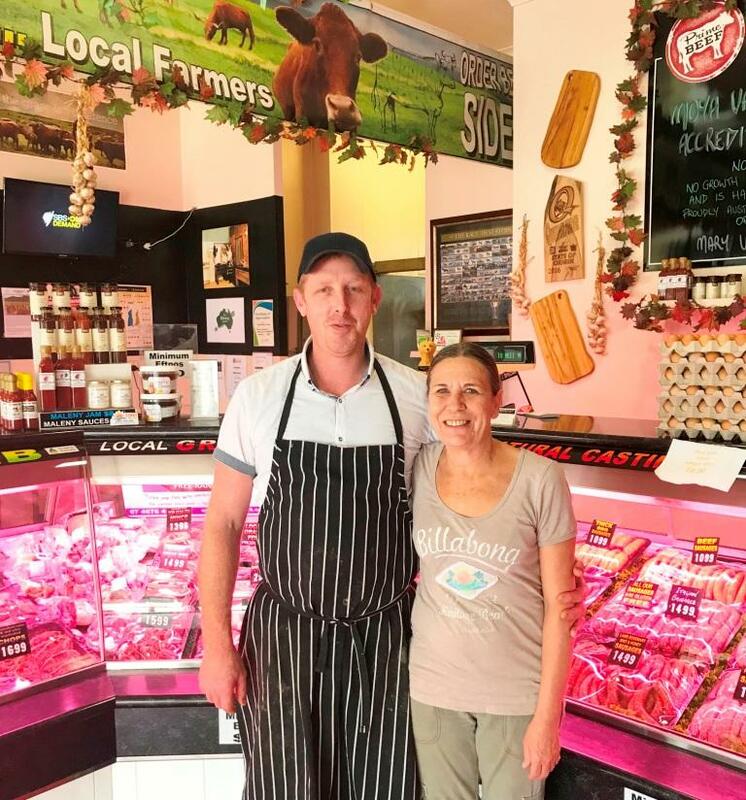 We welcome Wright Cut Meat, 2 Maple Street, Cooroy as Saturday NTP sponsor for 12th Hole.